Please find hereunder the blog posts related to ARD activities in May 2018. Veuillez trouver ci-dessous les ressources du blog se relatant à la RAD pour le mois de mai 2018. Pour la traduction en français cliquez dans la colonne de droite du blog sur « automatic translation » et choisissez votre langue ! Por favor, encontre aqui os posts do blog relacionados à ARD atividades. Para a versão em Português, clique na coluna da direita do blog "tradução automática" e escolha o seu idioma! 30 May -1 June 2018. Pretoria, South Africa. The conference was hosted by the Information Training and Outreach Centre For Africa (ITOCA). 28 May - 1 June 2018. The Hague. The Netherlands. This exchange brought Food and Nutrition Security policy staff and Agricultural Councillors from Dutch Embassies and UN Permanent Representations, and from the Ministry of Agriculture and the Ministry of Foreign Affairs in The Hague together to facilitate knowledge exchange, learning and co-creation. 3. 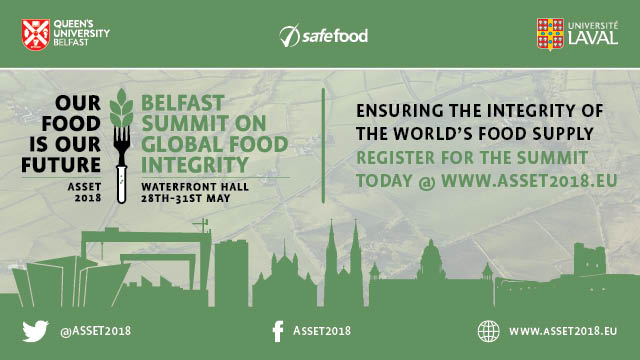 Belfast Summit on Global Food Integrity – ASSET2018. 29-31 May 2018. Belfast. The Summit featured a number of high level strategic presentations on key issues by internationally recognised leaders. 29-30 May 2018. Paris. 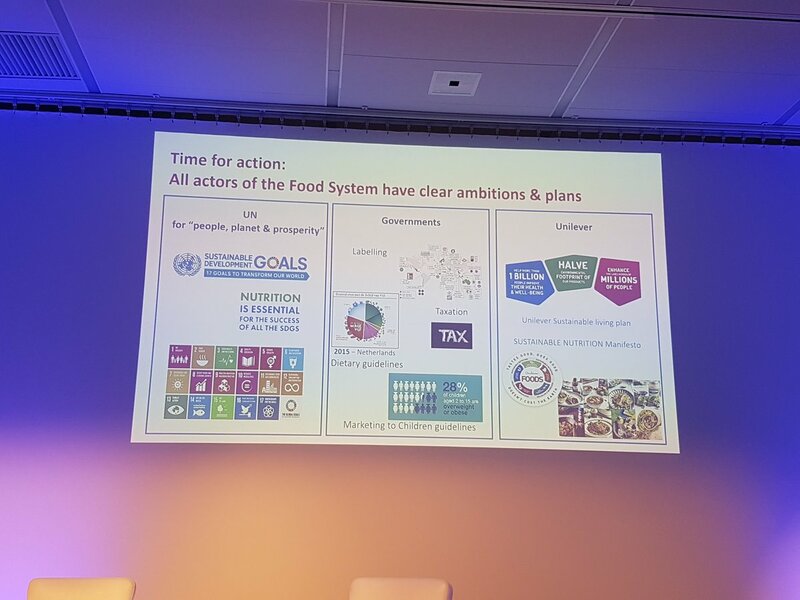 This event targeted five aspects of our common challenges to solve, and for which new initiatives across the European food system must be taken. 29-30 May 2018. Brussels. Since 2016, The International Panel of Experts on Sustainable Food Systems (IPES-Food) has been undertaking a collaborative process of research and reflection to identify what tools would be required to deliver sustainable food systems in Europe. 29 May 2018. Renforcement des capacités aux fins de la recherche agricole pour le développement. PAEPARD Policy brief nr.7. May 2018. 5 pages. 28 May 2018. Busia has become the first of Kenya’s 47 counties to endorse a Biodiversity Conservation Policy. 25 May 2018. KORE – Knowledge Resilience – is a knowledge sharing platform to support building resilience to food insecurity and malnutrition in the face of shocks and stresses. Deadline for submitting information: 30 June 2018. 23 May 2018. Gent. Symposium 'Network event 2018. In March 2018, stakeholders identified along the fonio and Bambara groundnut value chains were invited to crop-specific meetings to share back results of the value chain studies and discuss ways forward to overcome challenges for production, marketing and consumption of these crops. 16 May 2018. Nairobi. Detailed guides on the status of and opportunities for investment in climate-smart agriculture in fourteen African countries have been officially launched by scientists from the International Center for Tropical Agriculture (CIAT) at the African Climate-Smart Agriculture Summit. IISD welcomed any comments in your preferred format by Friday, May 25. 15-16 May 2018. Nairobi, Kenya. The objective of the Africa Climate Smart Agriculture Summit "Partnerships, Innovations and Financing for Climate Smart Agriculture"
The research proposal MycoSafe-South, the “European–African partnership for safe and efficient use of mycotoxin-mitigation strategies in sub-Saharan Africa” has been approved by the selection committee of LEAP-Agri. Rather than adopt a general description of trends, this research focuses on concrete case studies from six major cities across the central, western, and eastern regions of the African continent (Douala, Lagos City, Dar-es-Salaam, Accra, Addis Ababa and Mombasa). 12 projects were selected for funding. These projects will start their work in 2018. Technical Brief. Agriculture, Nutrition and Health Academy Food Safety Working Group. Whilst there are many promising approaches to managing food safety in LMICs, few have demonstrated sustainable impact at scale. 9 May 2018. USAID Feed the Future Webinar. 8-10 May 2018. Lusaka, Zambia. The 10th ICT4D Conference brought together public, private and civil society organizations from across the humanitarian and international development community. 7-8 May 2018. US. The priorities for the first projects funded by the program. In 2017, the Farmer-Led Innovators Association of Kenya (FALIA) worked together with the 20 promising innovations addressing a range of issues from biodiversity preservation and economic empowerment to gender equality and improved food security. 19 April 2018. Prof. Prabhu Pingali of Cornell University talks from the field about the urgent need for a transition from a focus on staple grains to agricultural systems that promote diversity, health and nutrition as well as profitability for smallholder farmers. 11 April 2018. The second round for proposals of the Drivers of Food Choice Competitive Grants Program announced 7 new grant recipients. 30 May -1 June 2018. Pretoria, South Africa. 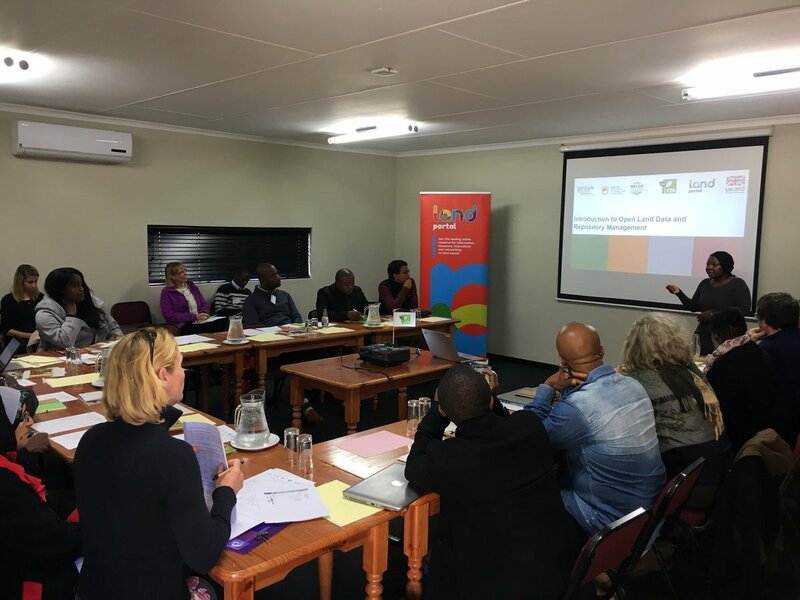 IAALD – AFRICA CONFERENCE. The conference was hosted by the Information Training and Outreach Centre For Africa (ITOCA). 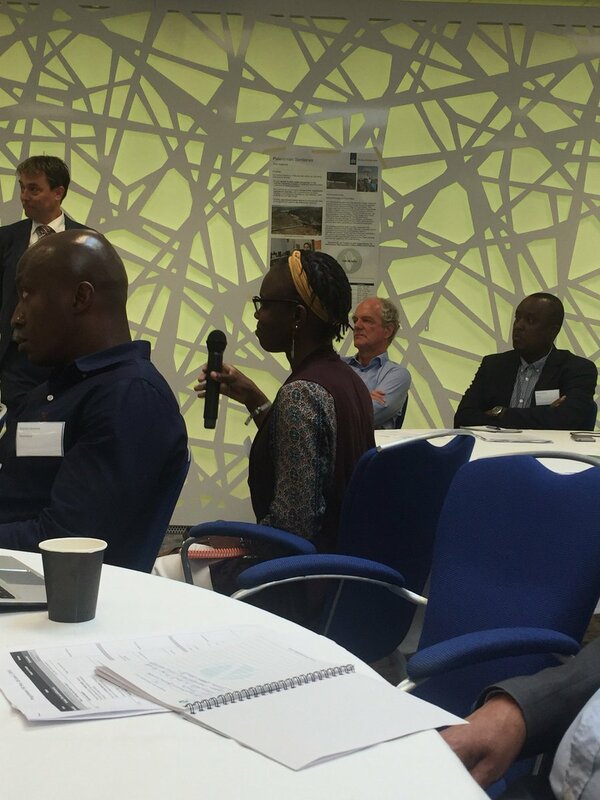 The conference provided a platform for agricultural information and knowledge specialists in Africa to discuss and strategize their contributions to the global 2030 Sustainable Development Agenda and the African Union's Agenda 2063, focusing on the conference theme and sub-themes. 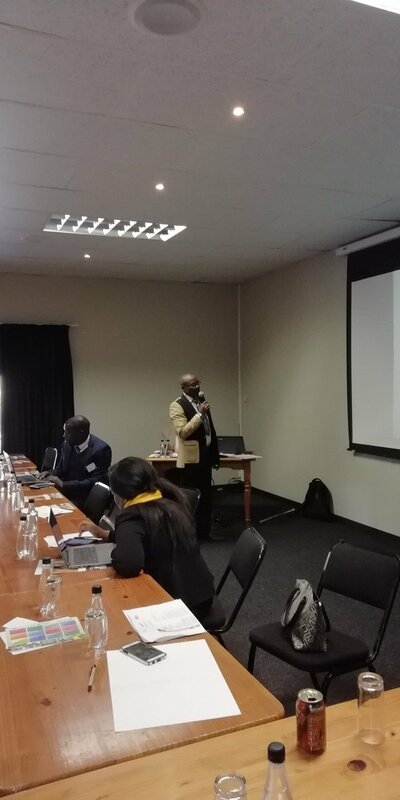 Prospects of Livestock Identification and Tracking Using Mobile Devices for Smallholder Farmers in Eastern Cape Province, South Africa - Pelokazi Mhlaba, Ed more Chindenga & Shewu. F.G Yusuf. 29-31 May 2018. Belfast. ASSET 2018 brought together representatives from international and governmental agencies, the academic and industrial research community, non-governmental organisations and the commercial and technical leaders in the food industry and its supply chain to discuss, debate and provide leadership on tackling a range of serious challenges that face the integrity of our global food supply system. The Summit featured a number of high level strategic presentations on key issues by internationally recognised leaders. It also placed a firm emphasis on harnessing the collective knowledge and experience of the delegates to address these challenges through the formulation of policy recommendations to governments and a Summit communique. methods for policy and programme evaluation. Her expertise lie in impact evaluation, nutrition finance, and nutrition-sensitive agriculture for sustainable food systems. Dr Chibundu Ezekiel - Food Microbiologist/ Mycotoxicologist Babcock University. Dr. Chibundu N. Ezekiel holds BSc Microbiology (First Class Honours) from Babcock University (Nigeria), MSc Microbiology and PhD Mycology/Mycotoxicology from the University of Ibadan, Nigeria. His research focuses on food safety, fungal diversity and taxonomy, and mycotoxins. He has contributed, through cutting-edge research, to the understanding of the recent prevalence of mycotoxins in food and feed in Africa and the underlying factors that contribute to increased mycotoxin occurrence in staple crops on the continent. As a mycologist, he led the development of technical solutions in the form of validating a low-cost microbiological medium for use in resource-scarce regions (e.g. Africa) - the medium facilitates rapid and easy identification and differentiation of aflatoxin-producing Aspergillus species commonly found in African soils and food crops. Miss Barbara Bray Nuffield Farming Trust, Uganda. Barbara Bray is a registered UKVRN Associated Nutritionist with the Association for Nutrition. She is the Director of a food safety and nutrition consultancy, Alo Solutions Ltd, which provides food safety and nutritional labelling advice, development and training to clients who include Bakkavor, Selfridges and fresh produce growers. Barbara worked in the Ugandan agri-business sector for three years after graduation and then spent 14 years in the chilled foods sector in the UK and France, firstly in food procurement and then in the provision of technical advice and compliance information as Technical Manager with Bakkavor, an international food manufacturer. For Specific Nutritional Need’ was a study of vegetables consumption in countries including China, South Korea, Australia and New Zealand. The project looks at national food policies and private initiatives to promote consumption of vegetables which benefit our health. 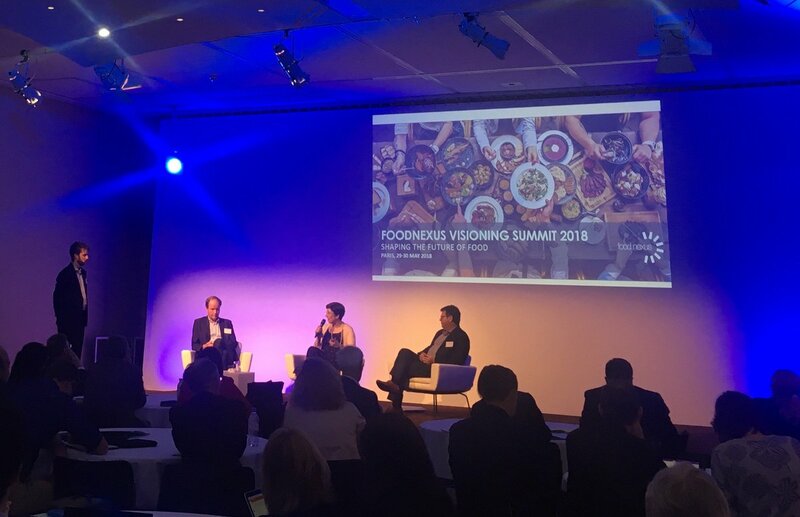 FoodIntegrity is a European five-year multi-faceted project, which will draw from a well of experience consisting of 60 partners in the EU, China and Iceland to tackle issues surround the authenticity of food. FoodIntegrity presents latest developments and strategies in the field of food integrity: safety, quality, authenticity and traceability! The project provides a focal point for the sharing and exploitation of European research aimed at protecting the integrity of food production in Europe. Learn more on FoodIntegrity outcomes on strategies for detecting fraud and assuring the integrity of the food chain, such as analytical methods and results, end-user tools, developed standards, opinions and guides, transparency along the food chain. 29-30 May 2018. Paris. “What are the most urgent problems facing the food industry in the next 10 years, and how can we best meet these challenges?” This event targeted five aspects of our common challenges to solve, and for which new initiatives across the European food system must be taken. 29-30 May 2018. Brussels. Since 2016, The International Panel of Experts on Sustainable Food Systems (IPES-Food) has been undertaking a collaborative process of research and reflection to identify what tools would be required to deliver sustainable food systems in Europe. The ‘Common Food Policy’ vision that emerges will offer a comprehensive and holistic plan for the EU as it considers reforming the Common Agricultural Policy and other policy frameworks. 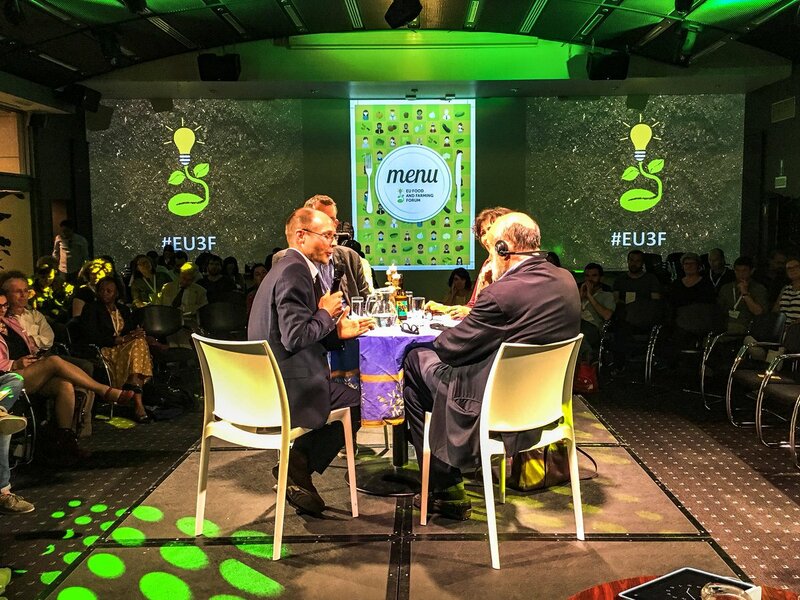 The EU Food and Farming Forum was an event whereby key food system actors from across Europe came together to co-construct a set of policy proposals addressed to the EU for a comprehensive ‘Common Food Policy’. Taking place symbolically one year before the 2019 EU elections, the Forum yielded concrete proposals to be taken up by political parties, campaign groups and ultimately by the EU institutions. Lessons learned from Canada's National Food Policy process, the UK's People's Food Policy and the Dutch Transition Coalition. 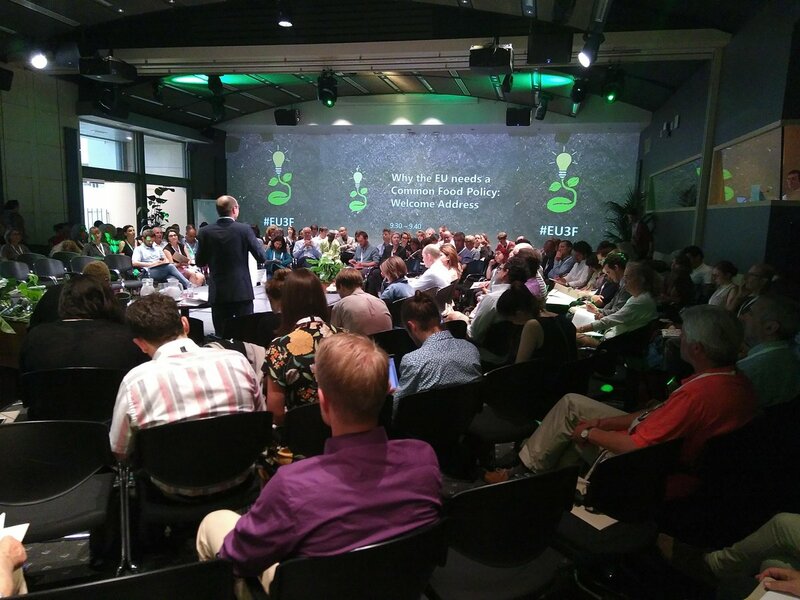 What can we learn from efforts to create integrated food policies at the national level? How did these processes take place? What were their successes and setbacks? Why adopt an integrated food policy approach at the national level? What are the necessary ingredients for a transition to sustainable food and farming systems in the EU? Sir Paul McCartney (by video address) for an evening of discussion and debate. The GEF 'Mainstreaming biodiversity for nutrition and health' initiative is led by Brazil, Kenya, Sri Lanka and Turkey and coordinated by Bioversity International, with implementation support from the United Nations Environment Programme (UNEP) and the Food and Agriculture Organization of the United Nations (FAO), and additional support from the CGIAR Research Program on Agriculture for Nutrition and Health. Renforcement des capacités aux fins de la recherche agricole pour le développement. 29 May 2018. Renforcement des capacités aux fins de la recherche agricole pour le développement. PAEPARD Policy brief nr.7. May 2018. 5 pages. Une nouvelle policy brief @PAEPARD est disponible en français : Renforcement des capacités aux fins de la recherche agricole pour le développement. A lire ici. Qu’une stratégie de renforcement des capacités itérative et réactive soit élaborée pour soutenir les partenariats multi-acteurs de RAD. Il importe de reconnaître que les besoins des partenariats en renforcement des capacités évoluent à mesure que chaque partenariat se développe et rencontre de nouveaux problèmes. Le renforcement des capacités devrait donc être vu comme un processus continu, qui doit régulièrement faire l’objet d’examens et d’adaptations. Que suffisamment de temps soit consacré à la consolidation des partenariats multi-acteurs et à la définition des différents rôles et capacités des partenaires impliqués. Il est nécessaire de réunir les parties prenantes dans le cadre d’ateliers animés dans le but de garantir la bonne compréhension de la notion de RAD, de stimuler les interactions entre les partenaires et d’attribuer des rôles clairement définis en fonction des capacités des différents partenaires. > Que chaque partenariat multiacteurs bénéficie d’un soutien pour élaborer un plan d’action à la fois stratégique et flexible afin de maximiser l’impact de la RAD. Les parties prenantes ont besoin d’aide pour réfléchir de manière stratégique aux différentes approches menant à l’innovation, de façon à ce que les capacités de chaque partenaire soient pleinement exploitées et à ce que le partenariat puisse s’adapter aux nouveaux obstacles qui se présentent. Que les capacités des acteurs en matière de formulation de propositions soient renforcées pour aider les partenariats de RAD à obtenir des financements. Les ateliers, ou « ateliers d’écriture », visant à aider les partenariats multiacteurs à élaborer des propositions solides sont essentiels pour permettre aux consortiums d’être compétitifs et de tirer profit des possibilités de financement offertes. Que des offres de financement supplémentaires pour les partenariats multi-acteurs de RAD soient créées. Il existe très peu de possibilités de financement pour les partenariats de RAD AfriqueEurope impliquant à la fois des organismes de recherche et des organismes « non chercheurs ». Que les partenaires bénéficient de services de facilitation pour acquérir de nouvelles compétences et capacités dans les domaines qu’ils connaissent moins afin d’améliorer le fonctionnement du partenariat. Cela inclut des compétences d’analyse, de planification et de gestion de projet, ainsi que de collaboration. Il est reconnu qu’une facilitation externe est nécessaire pour garantir l’efficacité des activités de réflexion et d’apprentissage lorsque les partenariats mettent en œuvre des projets de RAD. Il convient de mettre en place un mécanisme fonctionnel de financement des facilitateurs externes pour que les partenariats puissent bénéficier d’un soutien dans la documentation du processus de changement et le recensement des enseignements tirés. Que les capacités des facilitateurs internes ou externes soient renforcées pour permettre à ceux-ci de répondre efficacement aux besoins des partenariats. Il importe également de veiller à ce que le rôle des facilitateurs soit clairement défini et compris par tous les partenaires. 28 May - 1 June 2018. The Hague. The Netherlands. The Food Security Exchange (FSE) was a four-day event. 31 May 2018. Wageningen. The Netherlands. 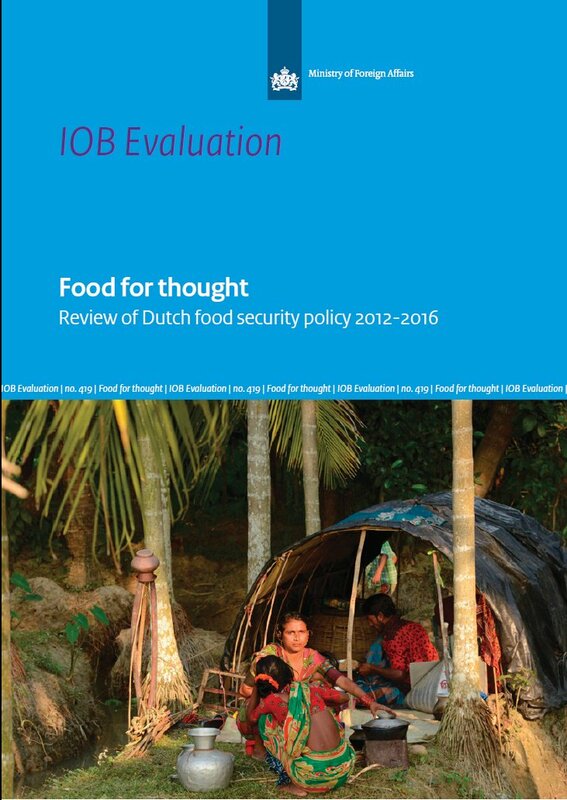 A public dialogue around the recently published IOB review of Dutch food security policy in the period 2012-2016. 25 food security specialists and Agricultural Councillors of Netherlands’ Embassies will be joining the programme as well. Please find the report here (in English) and here (in Dutch). A policy response by the Dutch minister for Foreign Trade and Development Cooperation can be found here (in Dutch). partners. Many of these partners will have the opportunity to discuss the review’s findings and their translation into practice. 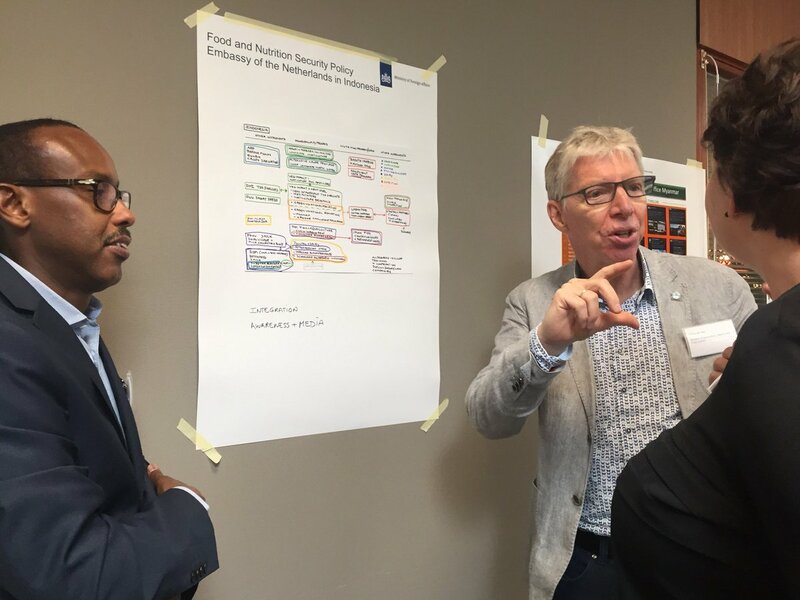 The results of these discussions are in particular expected to help shaping the future Dutch food security policy, in the context of the adapted policy for International Trade and Development Cooperation. Saskia Osendarp, NWGN; private sector representative (tbc). academic or private sector representatives (tbc). Guus van Westen, University of Utrecht (tbc). Facilitator: Nicole Metz, Food & Business Knowledge Platform. private sector and civil society sector representatives (tbc). The IOB review analyses the food security policy’s effectiveness, discusses its efficiency and coherence and concludes with recommendations. It is based on an inventory of food security activities and available evaluations, complemented by the broader literature. It also integrates quantitative and qualitative findings from four country case studies (in Bangladesh, Ethiopia, Rwanda, and Uganda). The Netherlands Enterprise Agency supports private and public organisations with funding, international business partners, knowledge, and regulations. This support is mainly focused on international business in emerging markets and developing countries and is commissioned by the Dutch ministry of Foreign Affairs. Do you have an international project in a developing country or an emerging market or are you looking for a business partner? See what Netherlands Enterprise Agency can do for you!